Execution (§ 732.502) – Must be signed in the presence of at least two (2) witnesses with the Testator present (Testator is the person who is making the will). 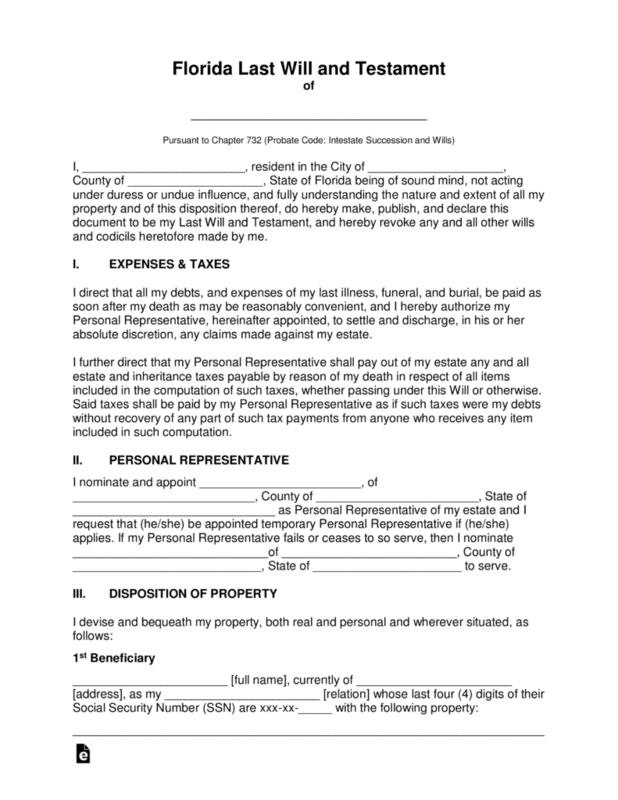 Guide to Making a Will – A beginner’s supplement provided by the University of Florida that gives an overview, along with a sample, on probate in the State. 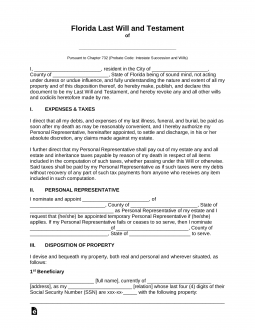 The Testator must read the remaining information pertaining to how the testator’s property is distributed in the event a member of their group of beneficiaries pre-decease the testator. Step 7 – Notarization – When the notary public has witnessed all signatures they will complete the remainder of the document and authenticate by affixing the state seal.